Jeans and denim are the two most confused terms in most parts of the world. People mistakenly interchange these words of which is untrue that one replaces the other. All jeans are denims but not all denims are jeans. In a nutshell, jeans are made of denims whereas denims are raw fabric materials made of 100% cotton twill and can be used to make jeans in addition to a plethora of accessories which include bags, shirts, skirts and jackets. Let’s examine the key differences between these two terms. The jeans are popular among men and women, particularly the students as the garments have special benefits. For instance, you do not need to press or wash the jeans often. They are durable and well-insulated to wear comfortably in treacherous weather conditions. Cotton (denim) is the fabric material behind the versatility and comfort of jeans. Usually, the blue color is synonymous with the identity of jeans since their inception in the 1870s, jointly by Levi Strauss and Jacob W. Davis. Today, jeans are available in a variety of colors such as black, grey and brown. But blue color still dominates as the identity of jeans. Jeans are considered an exquisite casual wear for men and women out of workplace premises. There are literally numerous designs of jeans, but are basically made of denim material. Among others, we have regular fit, skinny fit and slim fit. To get a glimpse, denim is processed into wet and dry. The wet denim makes softer jeans and the dry denim makes the tougher jeans. 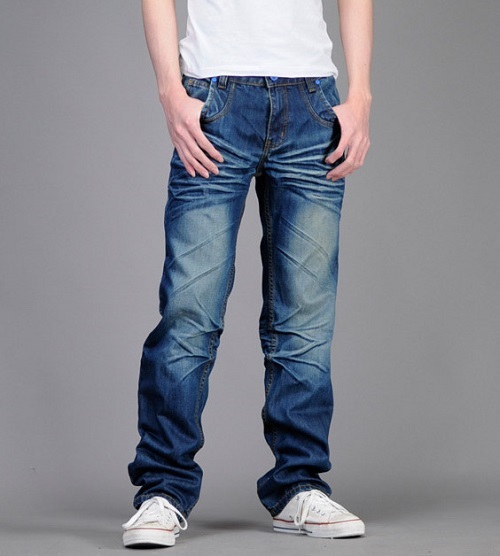 Men, in particular, fell in love with the tougher jeans as they do not attract stains easily and are more durable. It’s unlikely to find anyone without a pair of jeans. They are more preferable because of the infrequent need of maintenance. All thanks to the uniqueness of denim fabrics in making jeans a good quality. However, there are replications on the market with inferior quality of denim. 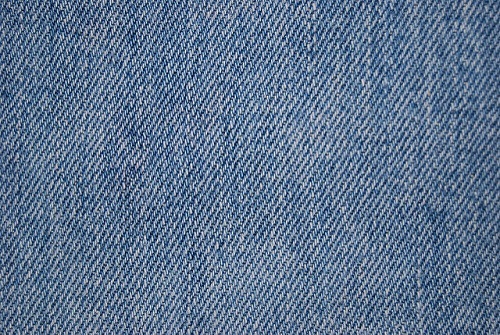 Denim, as already highlighted, is a fabric used to make, inter alia, jeans. There are numerous accessories such as bags, skirts and jackets that are made of denim and this does not mean they are jeans. That said, the interchangeable calling of jeans and denims is incorrect. Behind the quality of denim lies heavy cotton twill which is 100% and durable. The denim material is woven with a warp yarn that is composed of the blue cotton and the white cotton to give it a variety of diagonal parallel lines in blue and white color. Before the final product, it has to go through a series of processes and can even be dyed to any preferable color. There is dry and wet denim. The wet denim is used in making skinny and softer jeans. Such jeans usually have a smooth texture but are not as tough as the ones made of dry denim. On the other hand, the dry denim results when the material is not washed after dyeing it. The material therefore remains tougher and it is used in making tough jeans such as the regular fit. Because denim is rarely found in retail stores in its raw state apart from jeans, let’s delve into the care of jeans. Of foremost importance in this regard is the color and durability of the jean. The first tip is that do not mix the jean with other colors as it can affect light colors. Also, you should beware of lighter furniture as wet dark garments can tamper with the color. With regard to durability, the jean lasts long if not washed too often. These garments are not meant to be washed frequently as the color and the quality can fade overtime. The part of the solution could be getting several pairs of jeans rather than relying on a single pair. There are various designs, make sure you follow the garment’s care instructions carefully. Watch out for hand-washing or machine washing. Denim as a raw material is relatively heavyweight compared to its product, jeans. Jeans have to be worn in many occasions so are made to be lightweight. Varying designs have different weights. The thick ones, made of the dry denim, are relatively bulky and are suitable for winter wear. Denim is made of 100% cotton twill which is more durable. Jeans are also durable since they were made from denim. But the durability can depend on how they have been processed. Relatively, denims are more durable compared to denims. Denims are used to make a variety of accessories such as the bags, purses, shirts and skirts. Jeans are just some of the products made of denim fabric material. Then jeans are, of course, pants you wear for casual occasions. They are seldom used for work wear. Many people prefer jeans because of ease of maintenance. They do not need to be ironed every time you wear. Jeans are insulated so that they can be worn even during winter. But, cotton is naturally a good insulator except when it is wet because it absorbs more water. Lusi Madisha. "Difference between Denim and Jeans." DifferenceBetween.net. May 31, 2018 < http://www.differencebetween.net/object/difference-between-denim-and-jeans/ >. Yan Li, K W Yeung, Y Shen, E Newton, L Yao. (2003). The World Trade Organization and International Denim Trading. Elsevier (Technology & Engineering).